This utility copies all formulas without changing the cell references. Normally Excel adjusts the cell references if you copy your formulas to another location. You would then have to "fix" all cell references with a dollar sign (for example change A1 to $A$1) to keep the cell references the same. With this utility you can now easily copy your formulas to another location without Excel having the cell references changed and without the need of adjusting the cell referenced first. 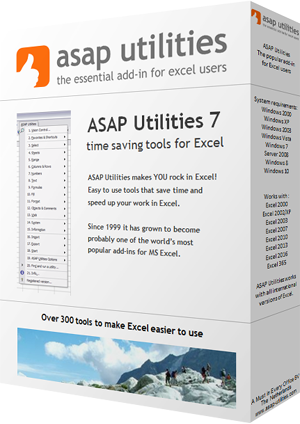 Besides the formulas this utility will also copy the formats, comments and validation.